Product Change Notification - PCN #: CTIU-00006 - Connect Tech Inc.
Change has been made to the attached fan as the manufacture lead times for the previous fan has been found to be much too long for production purposes. The new fan has been confirmed to be a suitable substitute over the previous fan, and has some slight dimensional differences related to the housing and fan blades. The changes listed in Section 2 will have no effect on the overall quality and reliability of the Active Heatsink or the Connect Tech carrier board. 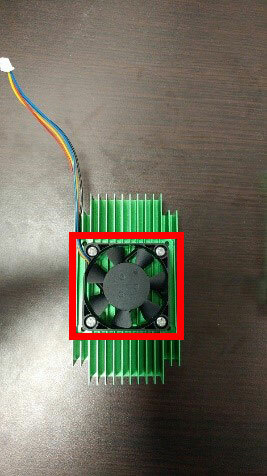 The fan has some dimensional difference, the overall Heatsink assembly is identical to the previous version, and customers will not have issues with Mechanical Compatibility. 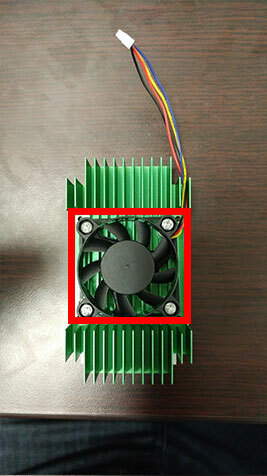 Additionally the new fan appears to have approximately 1 cm shorter than the previous fan connector, this should not have an effect on compatibility with the TX2/TX1 Carriers.